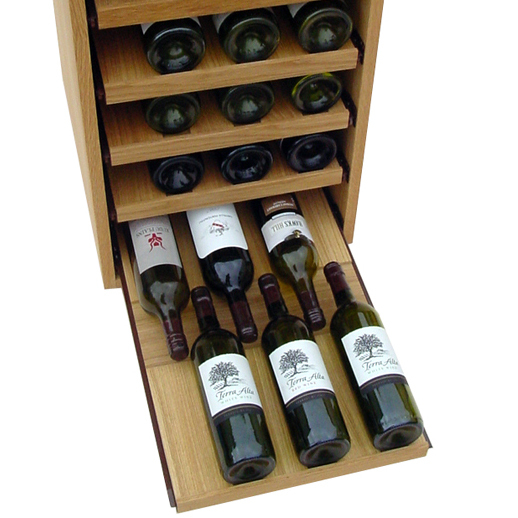 This 24 Bottle Wine Cabinet has 4 pull out shelves, each contain 6 bottles each. 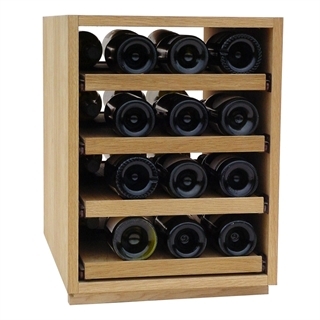 The showcase wine rack is made from solid oak veneered boards and finished with Danish oil. To take full advantage of these racks, units can be stacked next to and on top of each other, providing a full wall of wine storage. By doing so, you can create an eye catching display to really show off your wine collection! 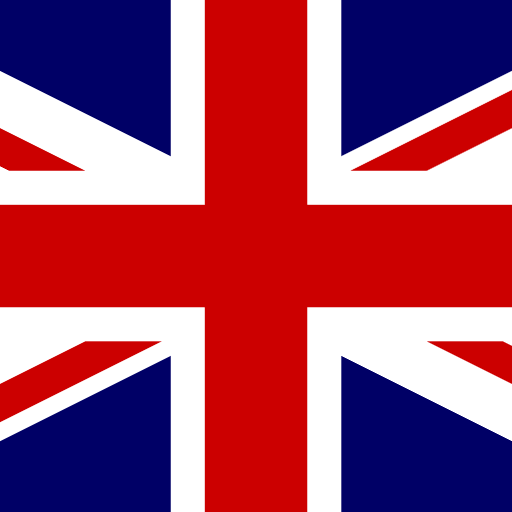 Tops and plinths can also be purchased as optional extras. Please Note: 24 bottles is based on standard 750ml shaped wine bottles.